We either have a furry friend of our own or know someone who does. For us real pet lovers we enjoy buying, making or doing things for our beloved friends. As an owner of four dogs I know personally how expensive it can get to keep buying the new collar and leashes. 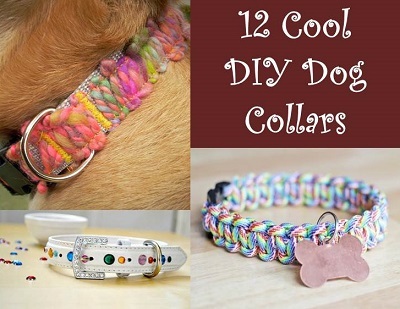 Here is a list of 12 Cool DIY Dog Collars. I am sure you will find something in this list that both you and your furry friend are going to love.